There are lots of factors that contribute to making a house a home - from the building itself, to its setting, surroundings and support systems - and at Wintringham, the infrastructure, amenities and facilities planned are vital ingredients to help create a sense of place that will make you feel like you’re at home from the moment you move in. 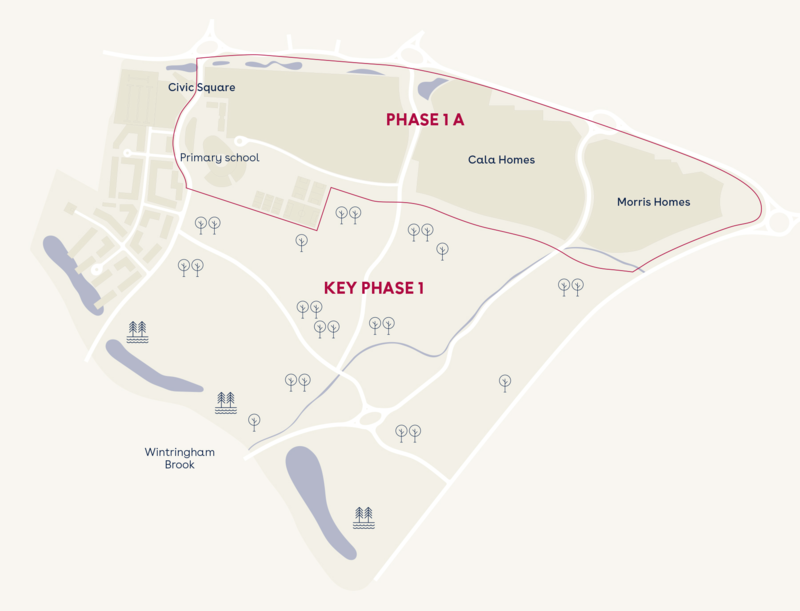 The 10-year transformation at Wintringham will bring in 2,800 quality homes and our first phase includes 500 new homes alongside community facilities that will see Wintringham come to life. 2, 3 and 4 bed houses and 1 and 2 bed apartments are proposed for just south of Cambridge Road. Each house will have a private garden and the apartment blocks will have communal amenity spaces, secure and covered bike parking as well as resident and visitor car parking. The landscaping will create an attractive setting both for new residents and surrounding neighbours, with significant new tree planting, hedges and green corridors that connect people to two new parks and play areas. Proposals for 2, 3, and 4 bedroom homes and 1 and 2 bed apartments have been submitted. 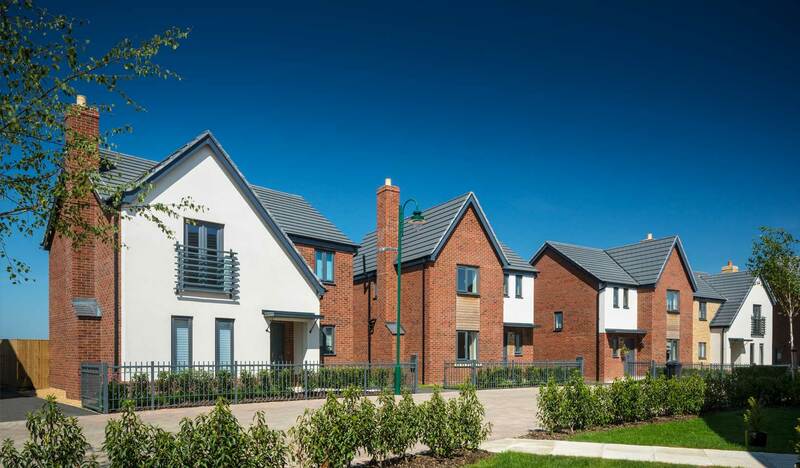 70 of the homes will be available for shared ownership and affordable housing. The application also includes open space and landscaping. 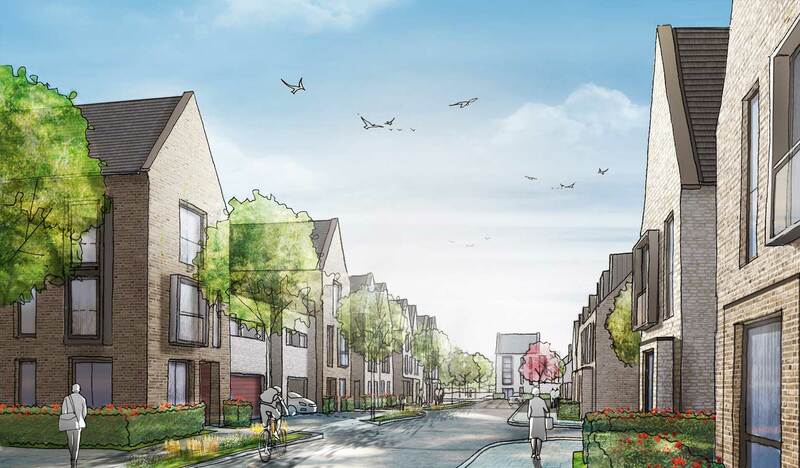 The new homes will be located at the eastern end of the Wintringham development, and have been designed with landscaping to form an attractive Eastern Gateway to Cambridge Road and entry to both Wintringham and St Neots. How long will it be before the first houses are available? Approximate time frames will see the first housebuilders moving onto site in Autumn 2019, with the first residents expected to be moving in from Spring 2020. Timescales are subject to change but we will make regular updates available. Will Help to Buy be available? Will there be shared ownership opportunities? Yes there will be shared ownership opportunities across the range of homes and apartments. You are able to register for updates and we will keep you informed as more information becomes available. How will you safeguard the quality of the design? Our vision for Wintringham is to create a place of enduring quality set in beautiful green space, using sustainable materials, with a strong infrastructure and a vibrancy that strengthens through the decades. A Design Code has been established, which sets out specific guidelines to safeguard the quality of design as the work progresses and we will work with the housebuilders at Wintringham to ensure these ambitions are realised. What will the housing prices be like? It is a little too early at this stage to know what the prices will be across the housing mix. They will be set in line with the current market at the time they go on sale. Can I register for updates? Yes please register using the form on the homes page and we’ll send you updates related to the homes at Wintringham St Neots. Sign up for homes news updates, from planning to launches – directly to your inbox.